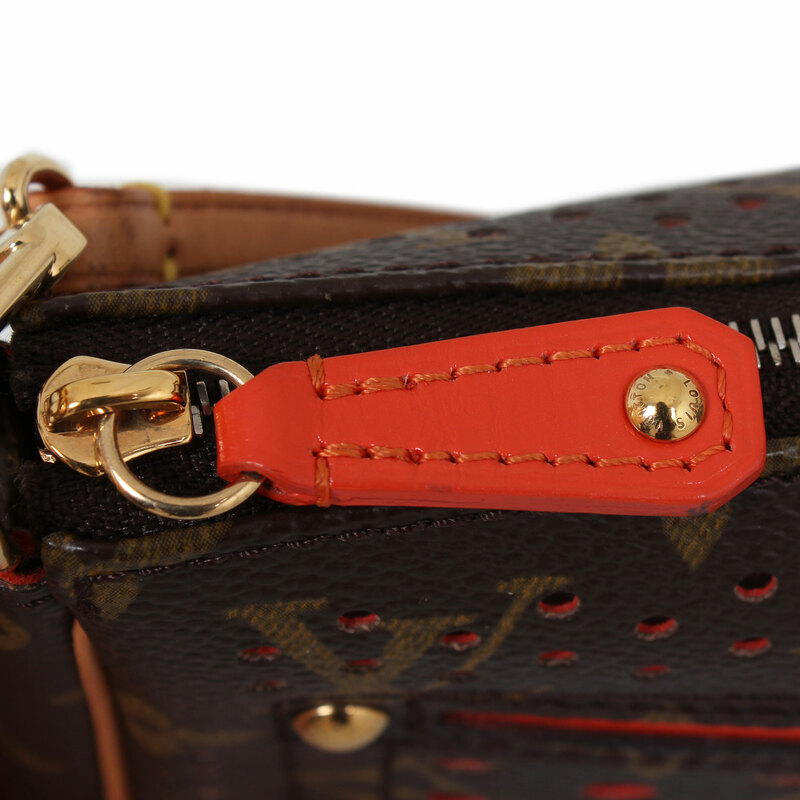 This versatile Limited Edition accessory contrasts the iconic Monogram canvas with a vibrant shade of orange. 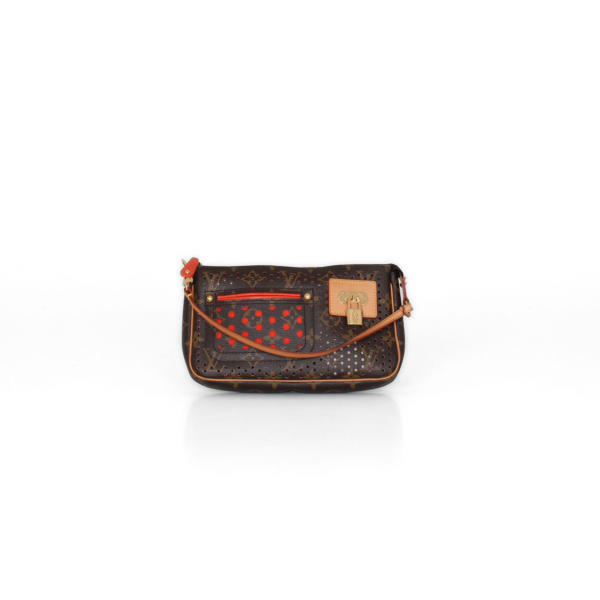 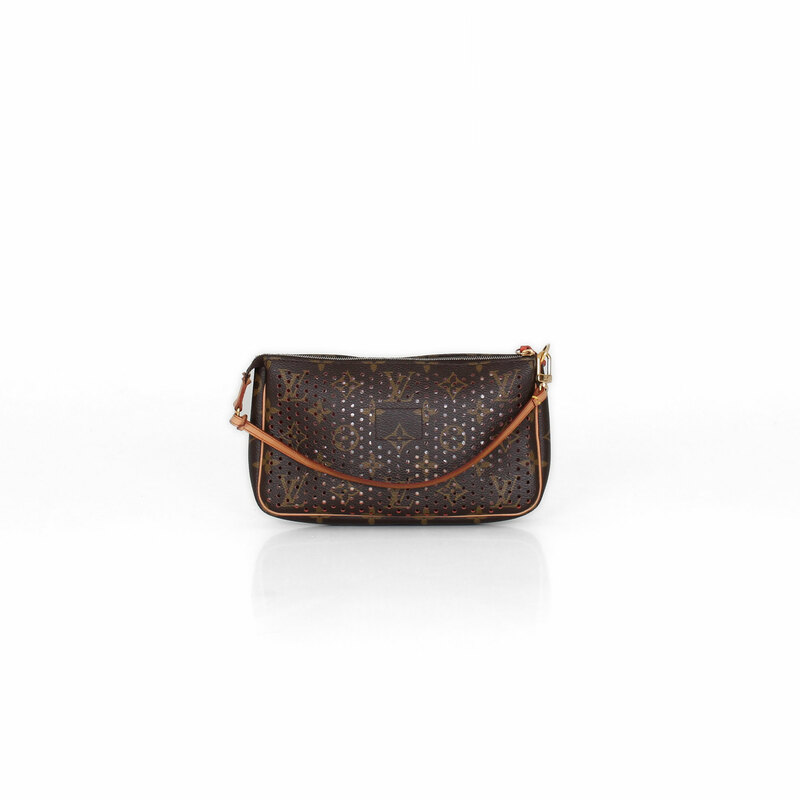 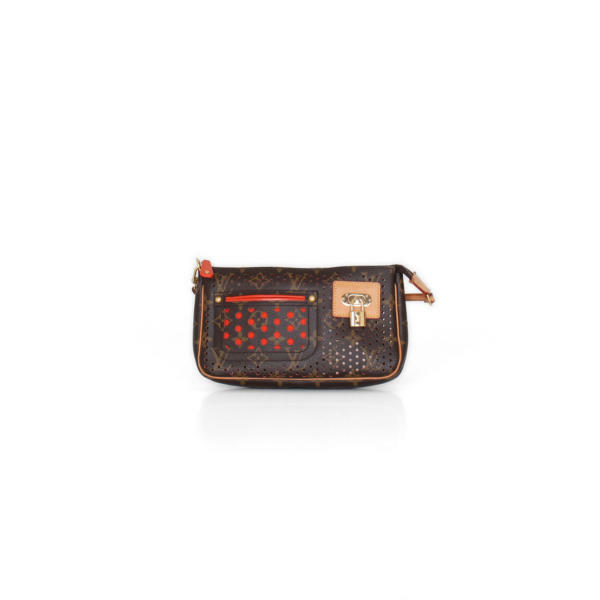 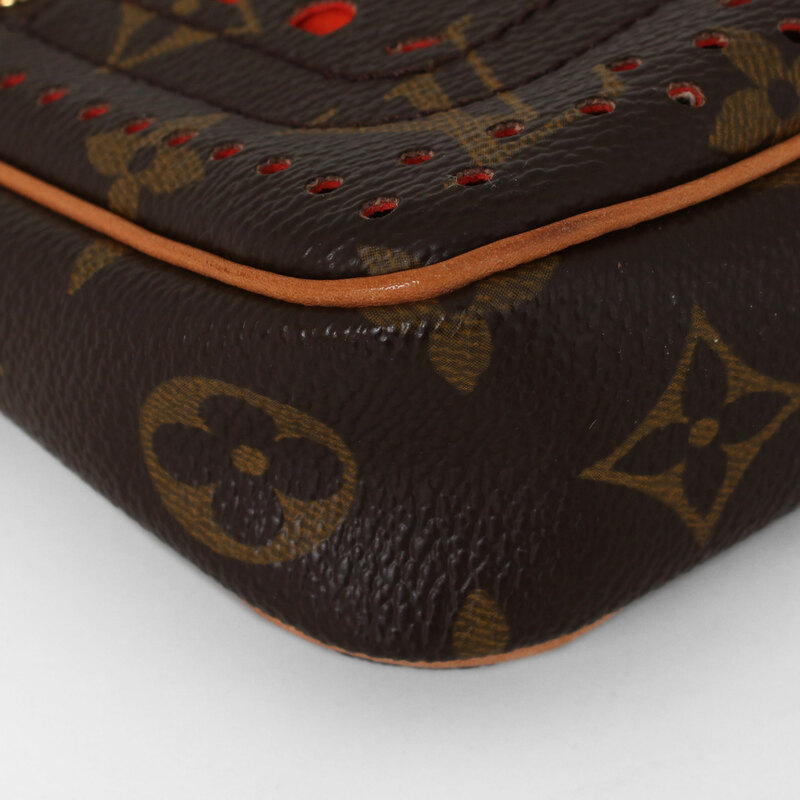 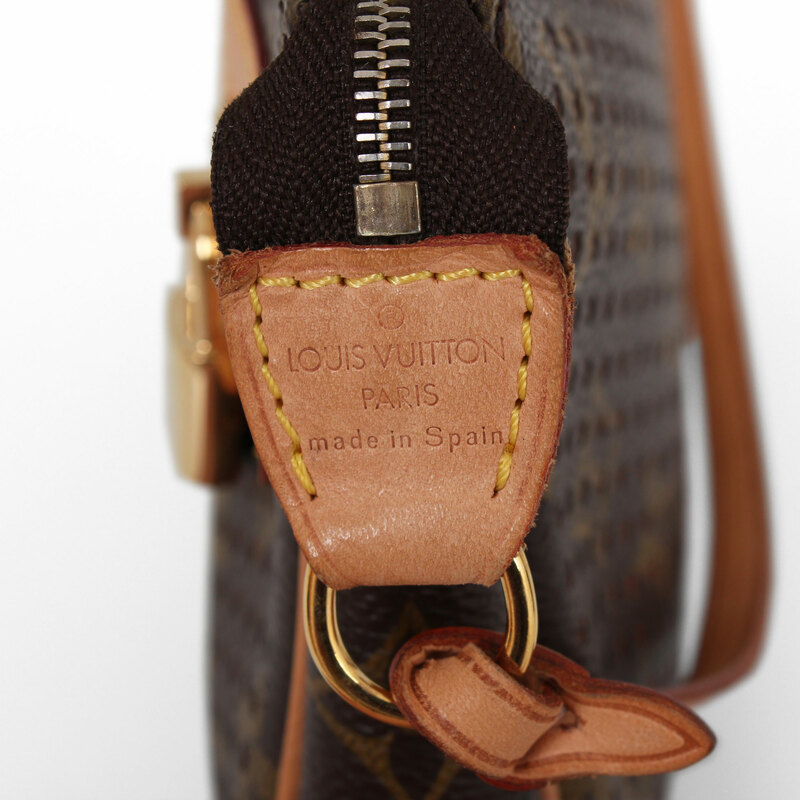 At CBL Bags we buy and sell luxury bags like this 2006 perforated Limited Edition pochette. 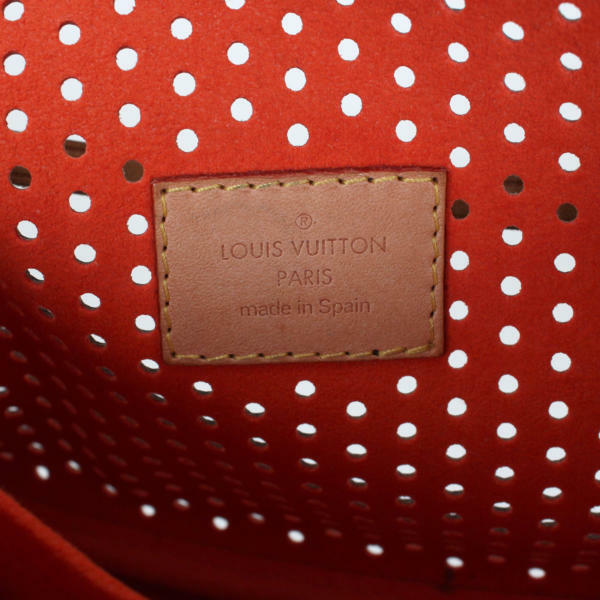 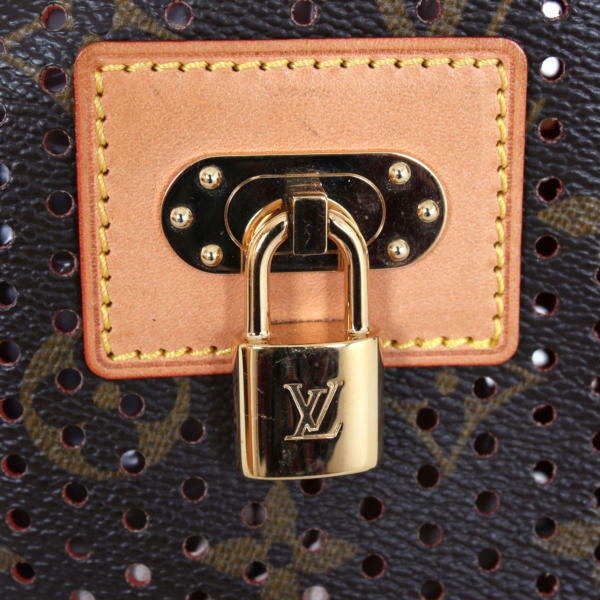 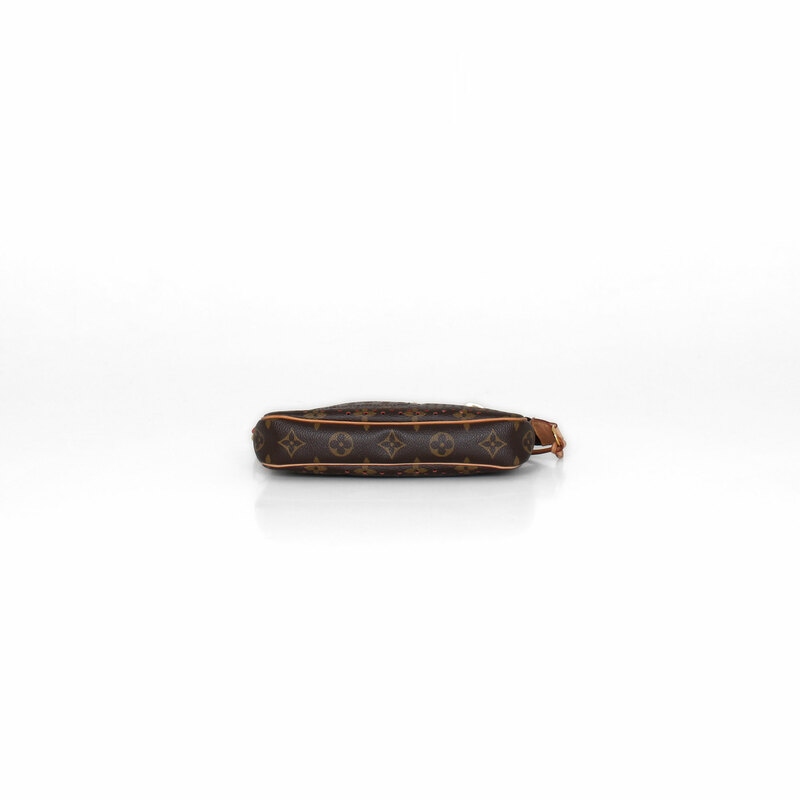 This Louis Vuitton bag is crafted of the classic Monogram canvas combined with natural cowhide leather, gold-tone hardware and an orange lined interior. 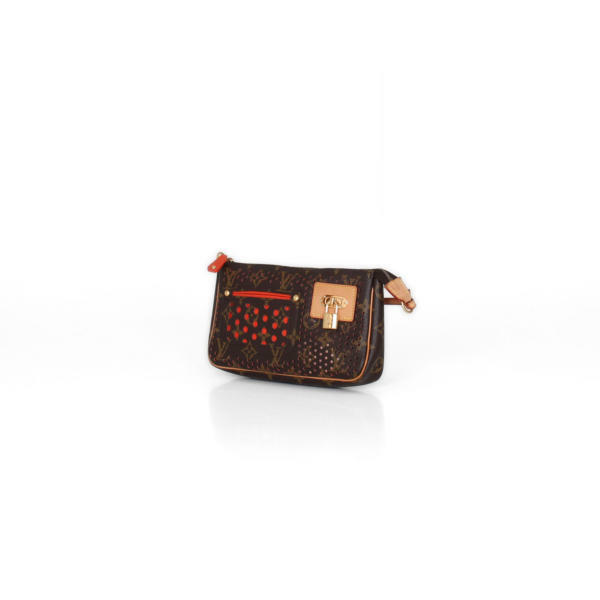 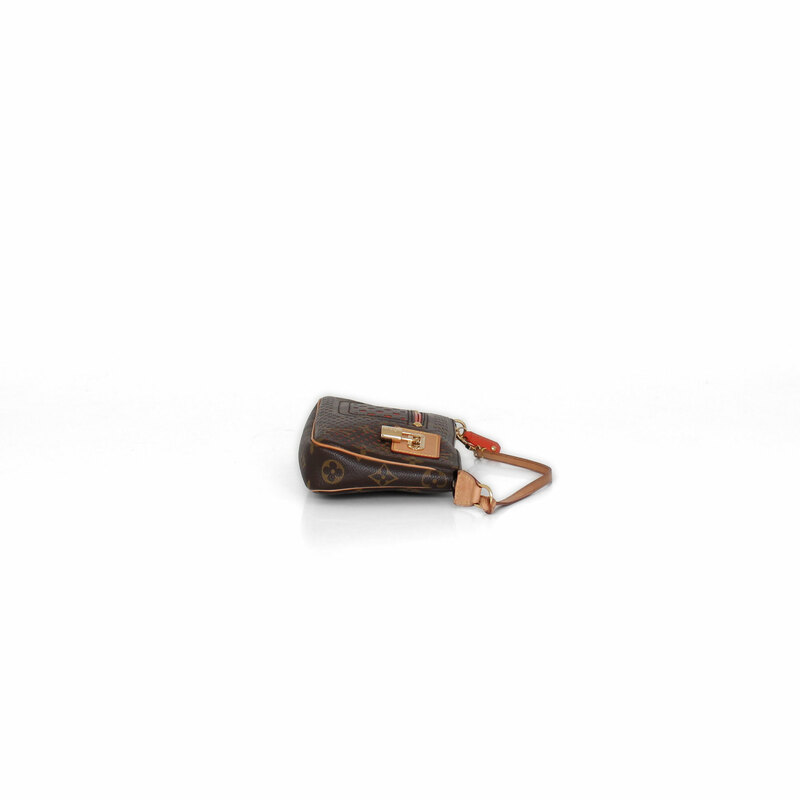 Its desmontable strap allows to wear this pochette as a mini handbag or to attached it inside a bigger bag. 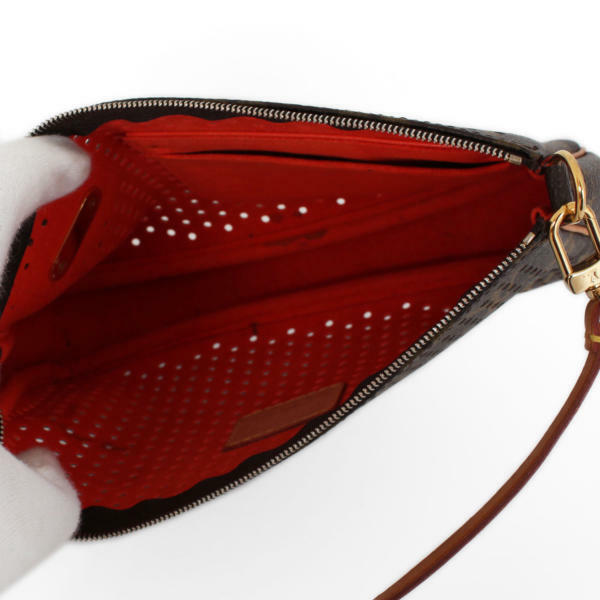 Its top zip opens to an orange microfiber interior.